Maximal lifting of the arm involves a clockwise rotation of the scapula of about 20 degree, a lateral and forward movement of the lower angel of the scapula and a slight back-inclination of the thorax. !!! 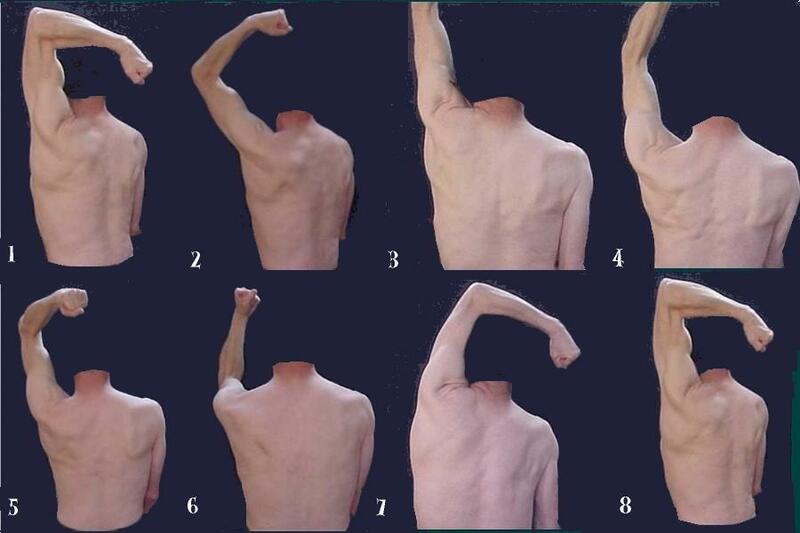 In fig.1 the brachialis (located in-between biceps and triceps) seems to overpass the brachioradialis. This effect is mimicked by a shadow and does not reflect true underlying anatomy (see also A51) .